One of the many great things about having a smartphone in your pocket is you can document everything, right then, as it happens. From your child’s first steps, to a car accident or that vacation in Europe, every moment will be recorded. For those travelers among us, documenting those moments is essential. There to keep it all in one place is ShutterBee. 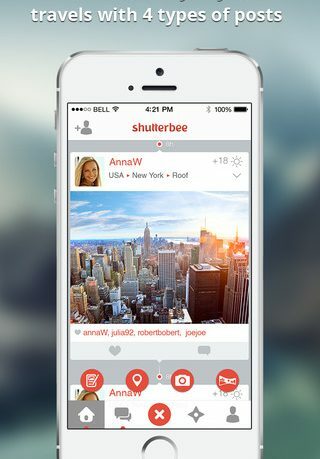 ShutterBee is a fantastic tool to capture travel experiences, share them with the world and make new friends. Find travel companions and explore new places. Create a diary of your journeys and keep trip statistics. 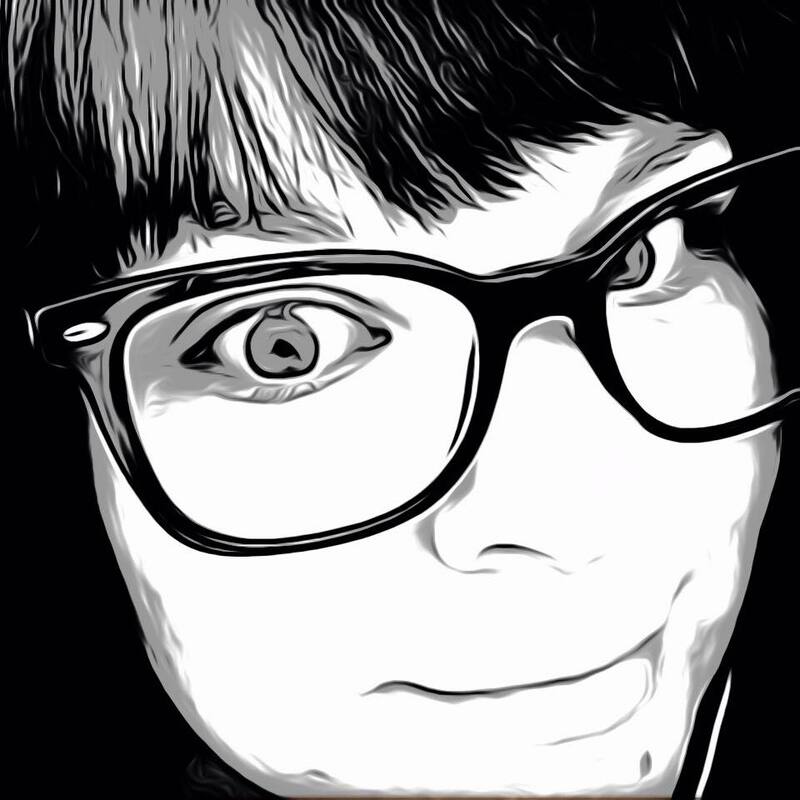 With the simplicity of automated check-ins and a multitude of sharing options you can always stay connected and inspire your friends and followers. ShutterBee is incredibly versatile yet simple, offering you a variety of convenient ways to record and share your local outings or globe-trotting adventures. – simple sharing across 4 social networks: Facebook, Tumblr, Twitter, Foursquare. 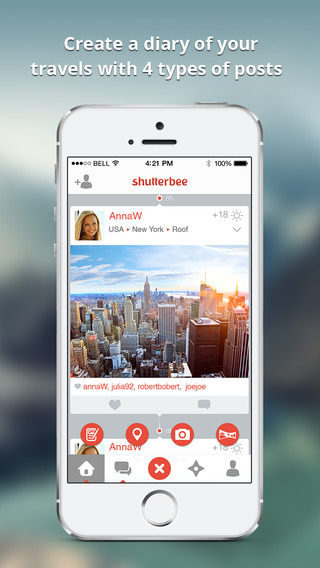 ShutterBee is a social media app for the wanderer. A digital diary for pictures, check-ins and details of your travels. An Instagram for vacation data if you will. Registration for the app only requires a login to Facebook. Once logged in you are brought to a list of popular people you can follow. The posts of those you follow are located in the home feed where you can live the journeys of others viewing their panoramic photos and accounts of the places they have visited. Posts can be liked and commented on as well. Adding your own friends is easily done by searching through your connected Facebook or your contacts. The app design makes it easy to add your own posts. With a very familiar Instagram like set-up, just tap the plus button and add your photos or locations. Details such as the weather and captions can also be added to the post. Along with sharing to ShutterBee, you can connect your main social media accounts like Twitter, Tumblr or Foursquare to share to at the same time. As well as finding friends to add, you can also search by location and connect with people who may be in the same area. Get in touch with local traveling companions through the chat service built right in to send messages to anyone on the app. 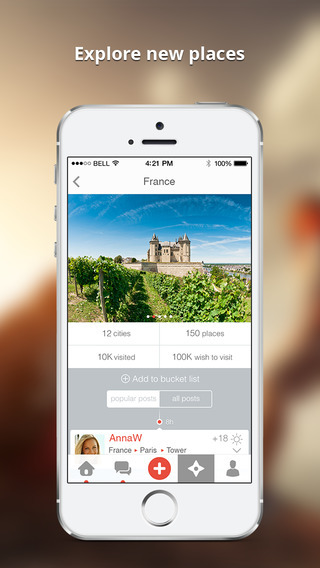 ShutterBee is a beautifully done travel diary with a familiar interface that anyone will love. The extra touches including panorama photo and weather features make it not just another photo sharing app. ShutterBee is available now for free in the App Store and is compatible with iPhone, iPad and iPod Touch. Hi Brianna, thank you for the great review!